Ebi and Andy performed at the Constitution Hall in Washington DC on December 23, 2000. The concert went well. They were very entertaining. But the woman who danced during Andy's performance was something else. Hot damn! 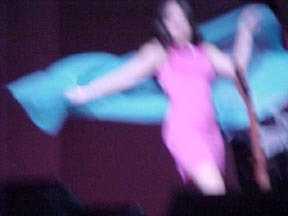 Ebi in concert in San Mateo, California.